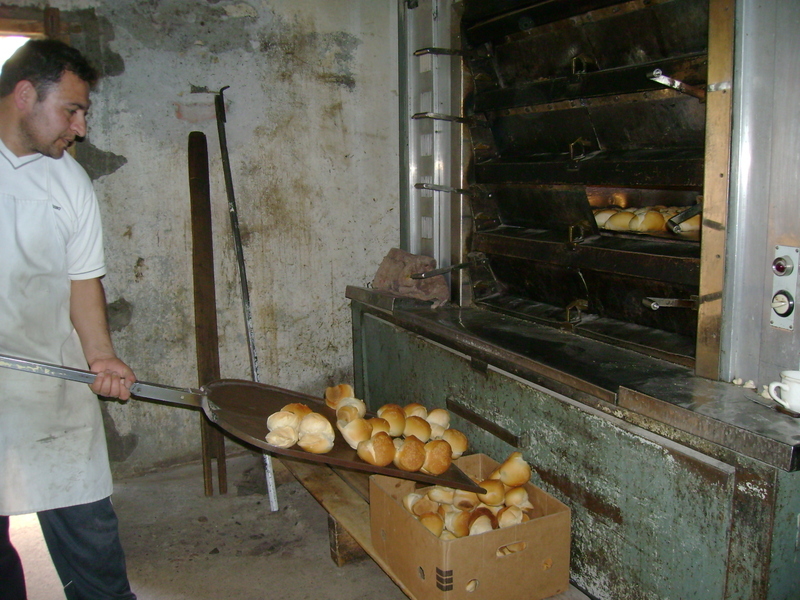 All of the bread there is made by hand every day. 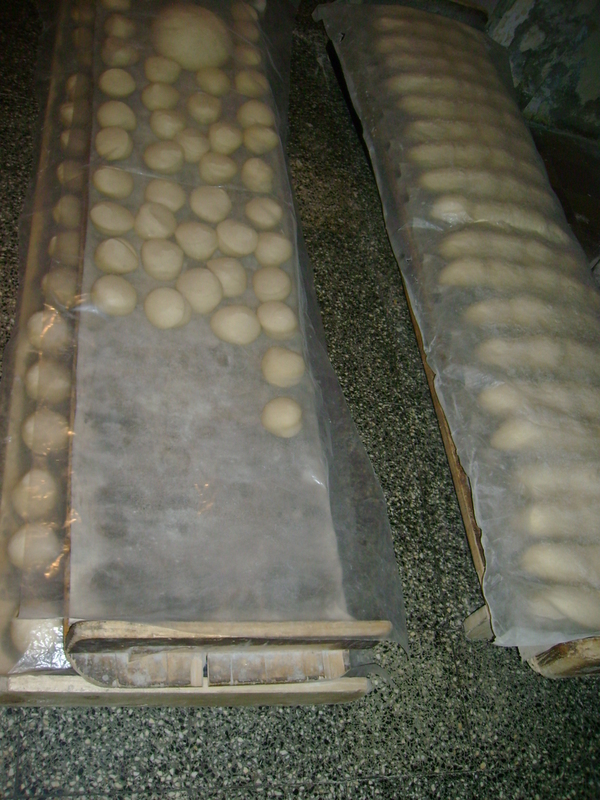 This amazes me, since so much of the bread we have available here is made in a factory, bagged in plastic, and shipped out to supermarkets. 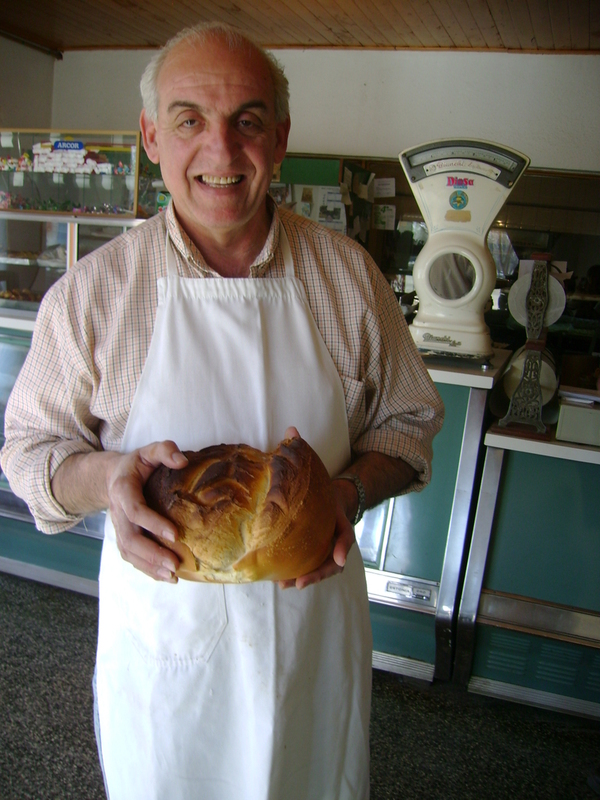 Mr. Faur employs 2 assistant bakers, and another assistant who helps with the front and with deliveries. 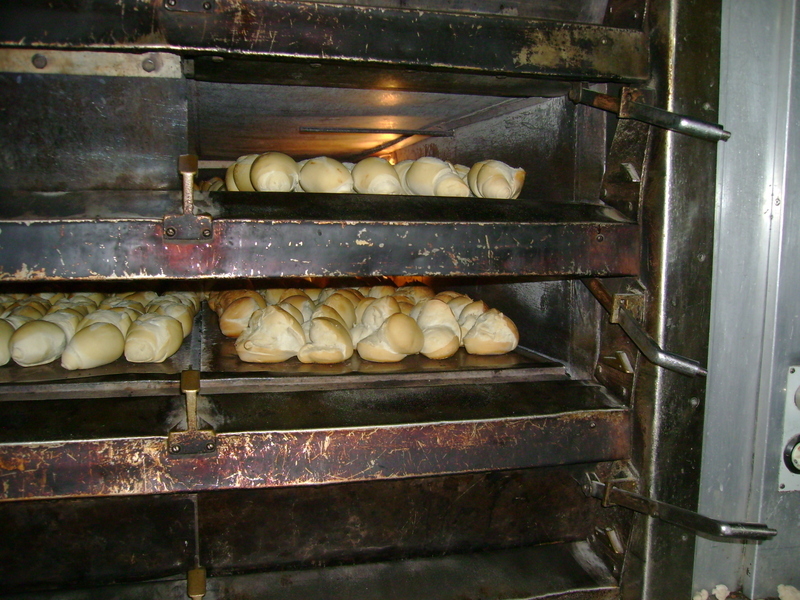 Fresh bread can be delivered to your door daily! 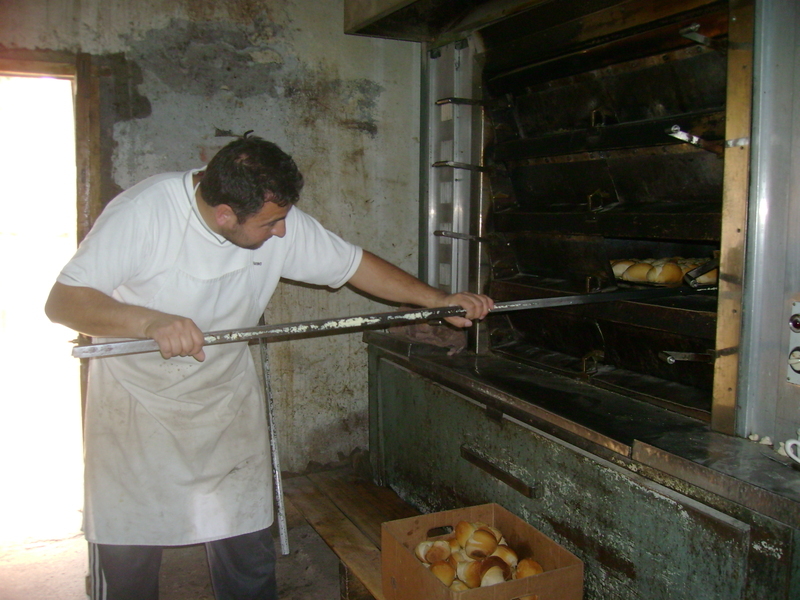 Mr. Faur attended a trade-school program in bakery arts. 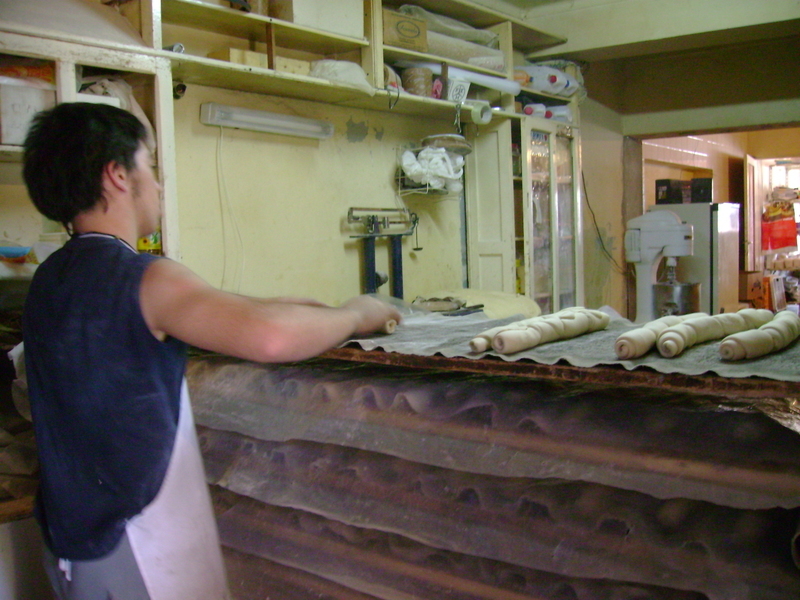 His parents were immigrants to Argentina from Lebanon, and he bakes ‘Pan Arabe’ (Pita Bread) on request. 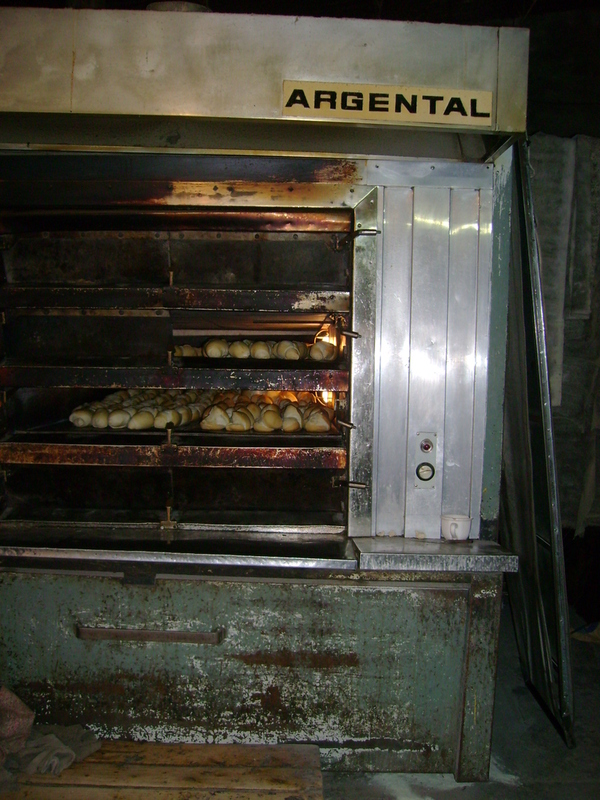 I wish I had an Al Pan Pan right down the street-how lucky I would be! These photos make my mouth water-if there’s a bakery like this near you, first, count your blessings, and then leave a comment and tell me about it! I hope you enjoyed your little tour of Al Pan Pan, more to come in the next installment! Looking forward to the next post — this was really fun to watch. 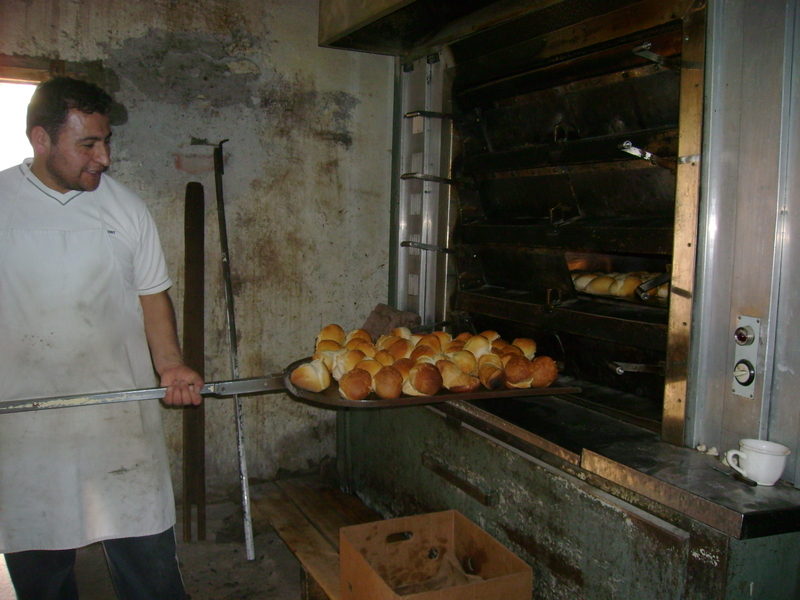 I miss so much walking those few blocks from my parent’s house to this bakery to get our fresh bread for the day…or perhaps I miss even more the irresistible impulse of eating some of that steamy bread (or medialunas!) on the way back?…Good job Rebe! Glad you enjoyed it! Doesn’t the bread look delicious? 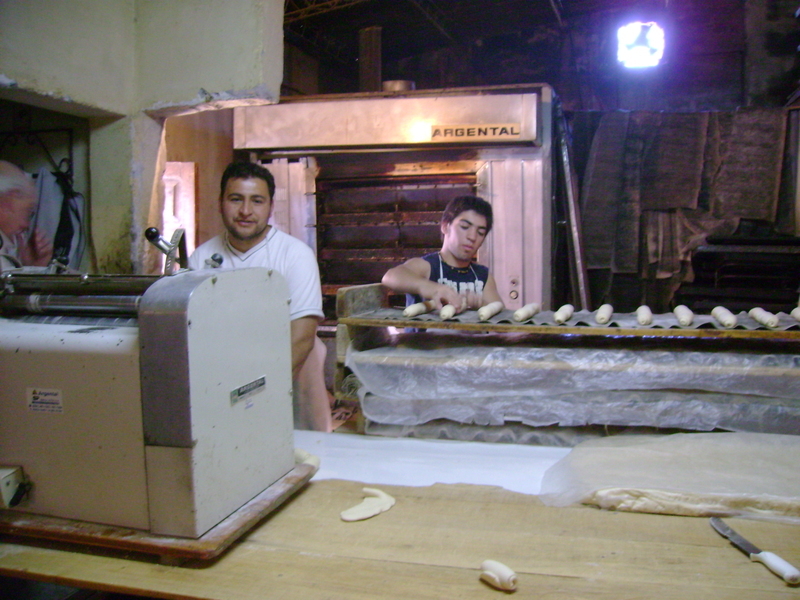 Do Argentines rip the miga out of the bread and eat just the crust the way the Chileans do? My Chilean friends told me that it is the miga that makes you fat. Not too many calories. Not the crust slathered with butter or manjar. The miga.